Stacy was absolutely fantastic to work with and her pictures were phenomenal! We are from the Kansas City area and booked Stacy to shoot our small wedding at The Lodge at Breckenridge on 10/27/18. Stacy was really great to work with when we were coming in from out of state. I had mentioned to her that my husband and I would be in the Denver area at the beginning of September for vacation. Stacy was super flexible and was able to meet us for a quick 30 minute photo session so we could get to know each other. My husband and I loved the opportunity to get to meet her before our Big Day! On the day of, I was super surprised when Stacy had arrived to our cabin not only 15 minutes early but she had already been in the area for an hour scouting around for the best spots! Since our wedding was so small, we were taking photos on a different part of the deck where our ceremony was being held as guests were starting to seat themselves. Stacy did a great job at keeping me focused while there were other distractions in the area. Later that night, Stacy had texted me a couple of photos as a sneak peak, which I thought was fantastic! Then we got our photos back way earlier than I ever expected! 6 days after our Wedding! 6 days!! We were super impressed with how everything went and would happily use Stacy for more photos if we are ever able to! Stacy was wonderful! She showed up right on time and got started right away. 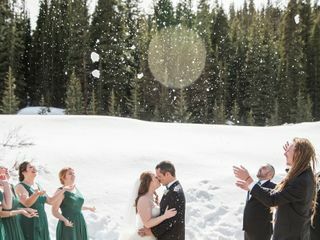 She even braved the snow for our outside wedding in Breckenridge! She sent me two sneak peeks that night which was awesome. We got a glimpse of what amazing pictures were to come. We received our gallery much sooner than I thought we would have it and we were blown away. We absolutely loved them! I would highly recommend Stacy to anyone. She does outstanding work! Stacy was so much fun and was also very comfortable to be around. 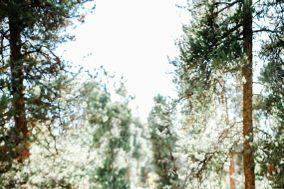 She was so sweet and just added such a positive experience to our elopement in Colorado. We are OBSESSED with our pictures!!! Would recommend her to anyone! Great work!!!! Keep up the creativity!! Stacy Story saved our wedding!!! Photography was the most important part of the wedding for me because in the end that is all you have! We wanted to book her 6 months before our date but she was already booked. We hired a different photographer who sent a certified letter 4 days before our wedding to tell us he would not be able to do our wedding! 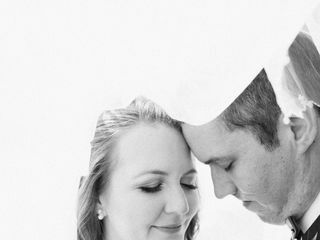 We searched for anyone who could help and Stacy had a cancellation and was able to shoot our wedding and we could not have been more thrilled! Not only is she personable and professional her work speaks for itself. She captured every part of our wedding and our photos were the best of what we could be. We will be recommending her to everyone we know!